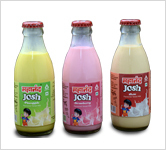 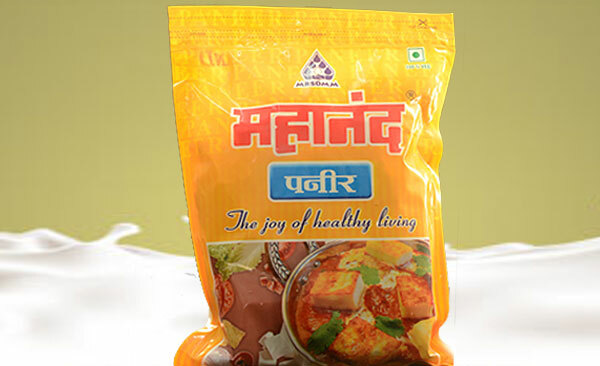 Paneer is the product obtained from Buffalo Milk or standardised buffalo milk, therof by precipitation with citric acid. 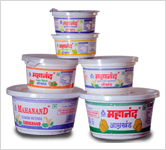 It shall contain more than 70.00 percent moisture and milk fat content shall not be less than 50.00 percent on dry matter basis. 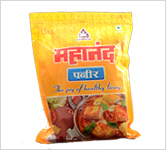 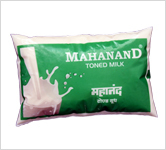 Mahanand Paneer is available in100/ 200 and 1000 gram pack size and supplied fresh to the consumers. 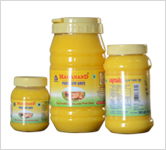 2) Total Fat- 27.0 g.
3) Saturated Fat- 15.0 g.
Copyright © 2016. 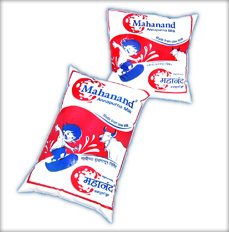 Mahanand Dairy, All Rights Reserved.